Time spent in freely chosen leisure activities offers a distinct developmental context that can support positive youth development; however this potential for growth depends in part on adolescent interest and engagement in their free time activities. Research indicates that many adolescents report experiencing boredom, instead of interest, in their free time. This study utilized longitudinal data from 354 rural middle school students to investigate how parenting practices and adolescent motivational styles influence adolescents’ experience of interest in their free time. Findings indicated that adolescent self-regulated motivation and parental knowledge related to the free time context were positively associated with experiences of interest, while adolescent amotivation and parental control were negatively associated with interest in free time. 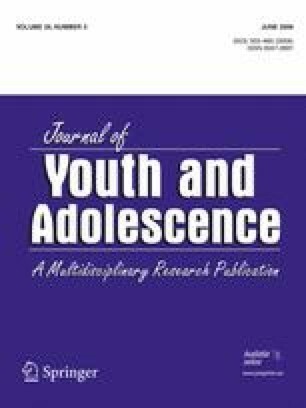 The effect of parental knowledge and parental control on adolescents’ experiences of interest was mediated by adolescent motivational styles. These results were similar across grade level and gender. Implications for interventions promoting positive youth development are discussed. Doctoral candidate in the Department of Human Development and Family Studies at The Pennsylvania State University, University Park, Pennsylvania. Major research interest is activity participation as a context for adolescent development. Professor in the Department of Recreation, Park, and Tourism Management at The Pennsylvania State University, University Park, Pennsylvania. Major research interests include adolescent leisure education and health promotion and prevention research. Professor in the Department of Biobehavioral Health at The Pennsylvania State University, University Park, PA. Major research interests include adolescent, young adult, and college student health promotion and disease prevention and research methodology. Research Associate in the Prevention Research Center for the Promotion of Human Development at The Pennsylvania State University, University Park, Pennsylvania. Major research interests include the etiology of problem behaviors, primarily substance use, and the prevention of problem behaviors. This material is based upon work supported by the U.S. Department of Health and Human Services under Award Nos. 1R21 DA13193-01 and R01 15984. This project was totally financed by federal funds in the amount of $420,900. The National Center on Addiction and Substance Use (2003). National survey of American attitudes on substance abuse VIII: Teens and parents. Retrieved November 15, 2003, from The National Center on Addiction and Substance Abuse at Columbia University Website: http://www.casacolumbia.org/Absolutenm/articlefiles/2003_Teen_Survey_8_19_03.pdf. The National Center on Addiction and Substance Use (2001). National survey of American attitudes on substance abuse VI: Teens. Retrieved September 5, 2003, from The National Center on Addiction and Substance Abuse at Columbia University Website: http://www.casacolumbia.org/publications1456/publications.htm.